Weather has changed. I like it as I am a winter person. Whole summers I have avoided using creams on my face. My oily skin was fine with little sunscreen. Now since weather is changing and so are skin requirements that's why I wanted to buy some new creams and face wash. This time I got Facewash and Cream from Garnier from their new launch of White Complete Range. I have always liked Garnier products. So I was quite excited to try them. What more exciting was their seven days challenge? So keep on reading to know my experience. 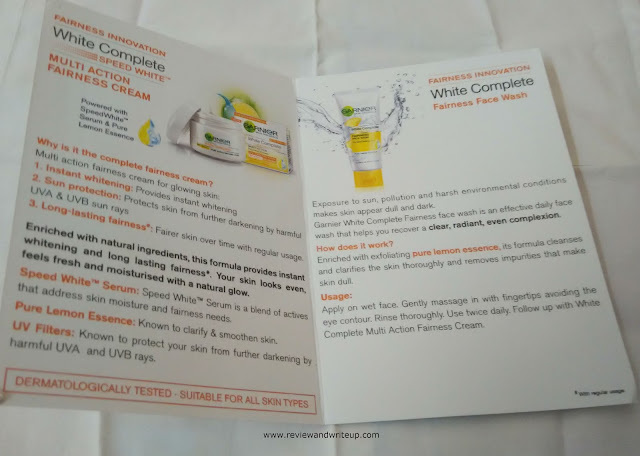 Packaging – Garnier white range refers to one facewash and cream. Facewash comes in a white-yellow color combination tube with a flip open cap. Packaging is similar to other Garnier Face wash just the colors are different. 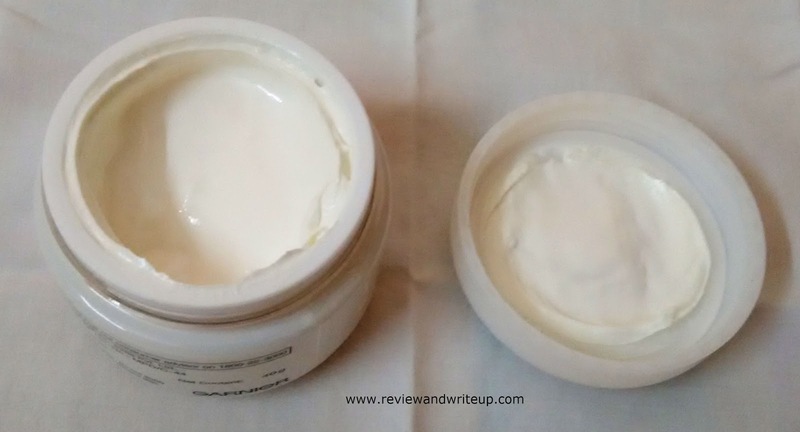 Cream comes in a cute cardboard box and housed in a white round jar. Packaging is super cute for cream. It looks impressive on my dressing. Only issue I have is with face wash packaging. Once quantity reduces its difficult to keep the tube vertically. My Experience With the Product – When I heard about their challenge it really amused me. Personally only bleach is one kind I know can enhance one’s complexion for some time. The face wash has creamy texture and mild fragrance. Just a little is enough to wash whole face. It leathers up well and is soft on skin. Once washed away skin looks visibly bright. One time I felt that my skin looked much clearer than ever. Then I applied Garnier multi action fairness cream. Cream is white in color and has very light texture. It doesn’t make skin greasy and provide requisite nourishment to skin. I have oily skin and my sister’s skin is dry and we both are happy with these products. I have used face wash and cream twice a day. Once in the morning and second time in the evening. In one week trust me, my skin is looking much clearer and brighter. Both cream and face wash has mild lemon fragrance which is very soothing. Best part is that cream has SPF 19 PA+++ which means I don't need to apply another sunscreen. In India whether its summers or winters or spring you know whatever season it's one must step out after applying sun screen. It guards skin from sun tan. I met my aunt after fifteen days. She said you are looking brighter what are you using these days. 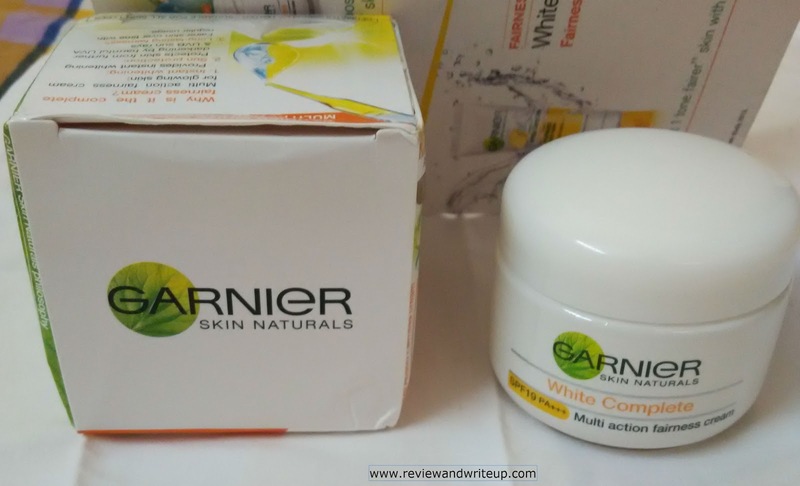 Then I told her about the Garnier products and she also got complete whitening range for her use. Both products could be used by men as well as women. No skin problem, irritation I have experienced. Cream and face wash are decently priced. 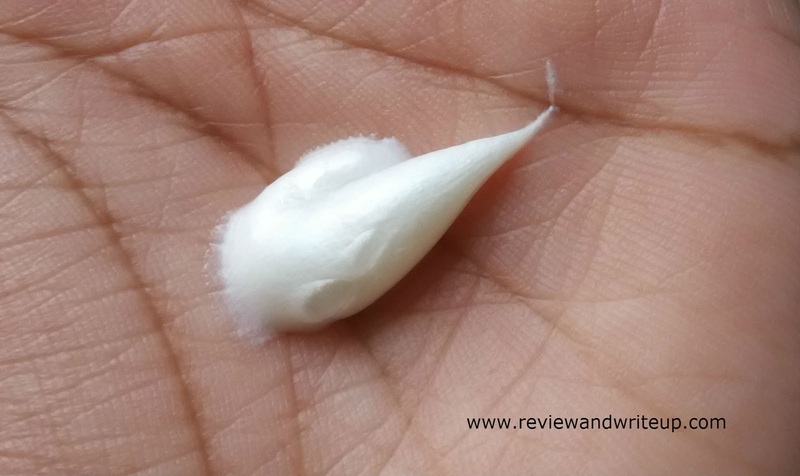 R&W Recommendation – If you want to get brighter skin and are browsing options don’t skip this one. It’s easy on pocket. Together both products will come for Rs. 300 much less than one parlour session. 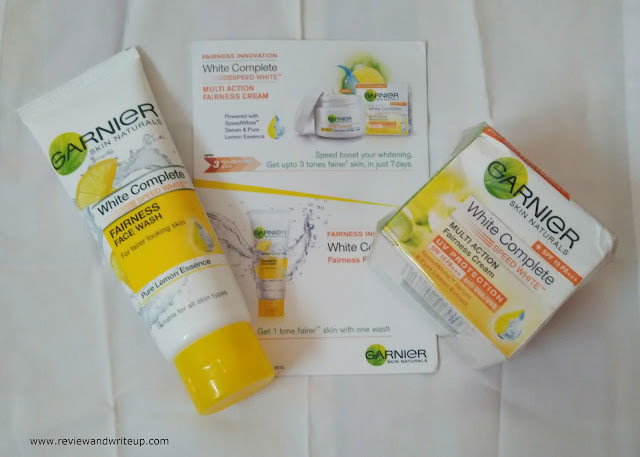 What you think about Garnier white range? Please share your valuable comments below.